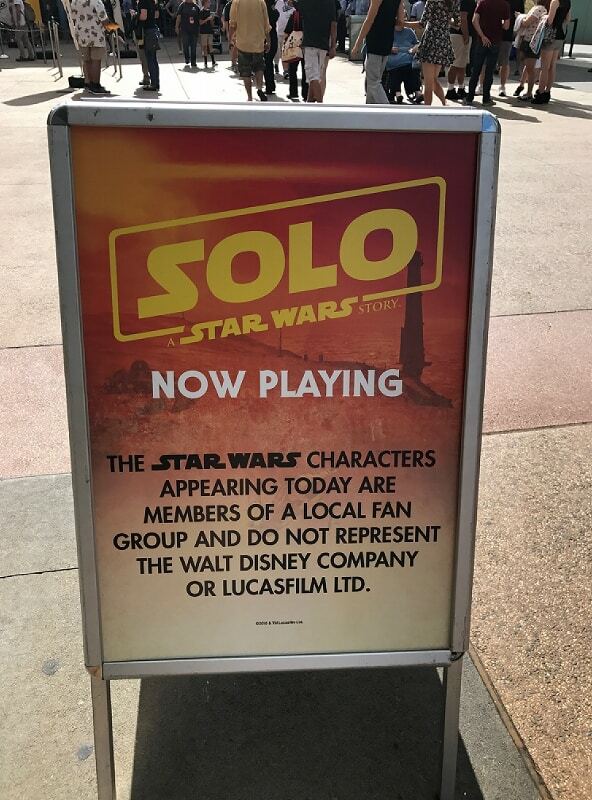 When the Walt Disney Company purchased Lucasfilm several years ago, it was obvious that they had big plans for the Star Wars franchise. 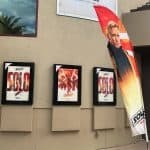 By the end of 2017 three new movies had been released, two that continue the story of the originals and one stand alone film. 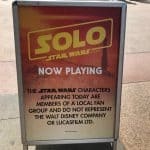 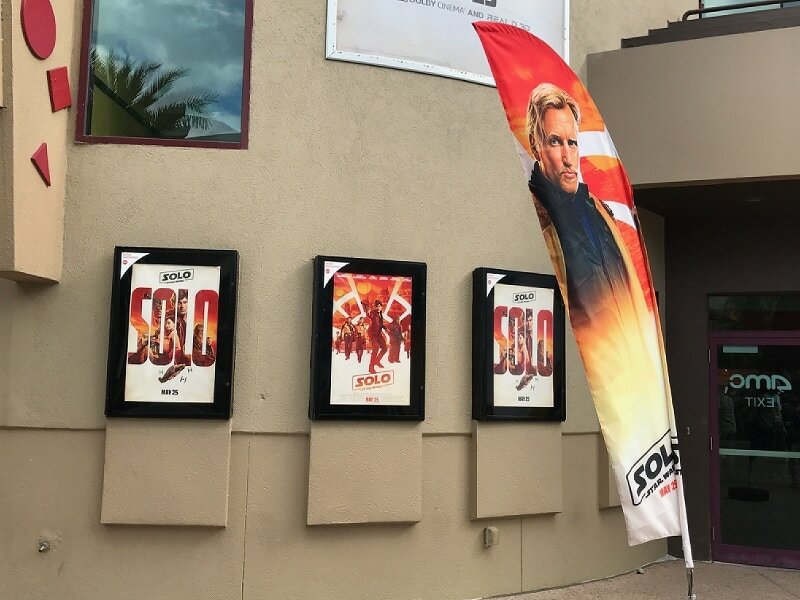 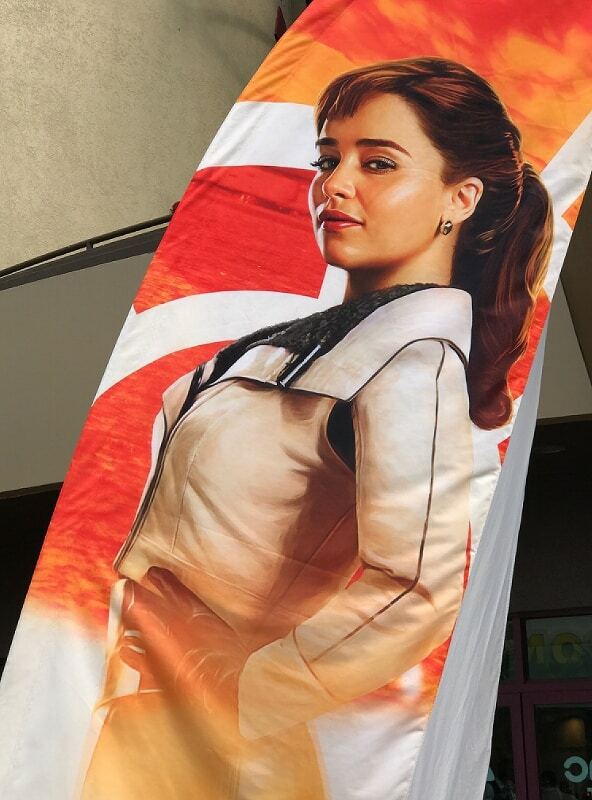 May 25, 2018 is the official release date of the second stand alone film; Solo: A Star Wars Story, but the first screenings actually took place the evening before. 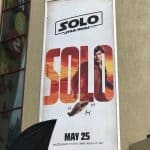 No worries, this article is spoiler free! 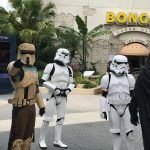 If you’re ever in Central Florida when a new Star Wars film is premiering, the place to be is Disney Springs. 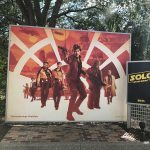 The opening of Solo was no different. 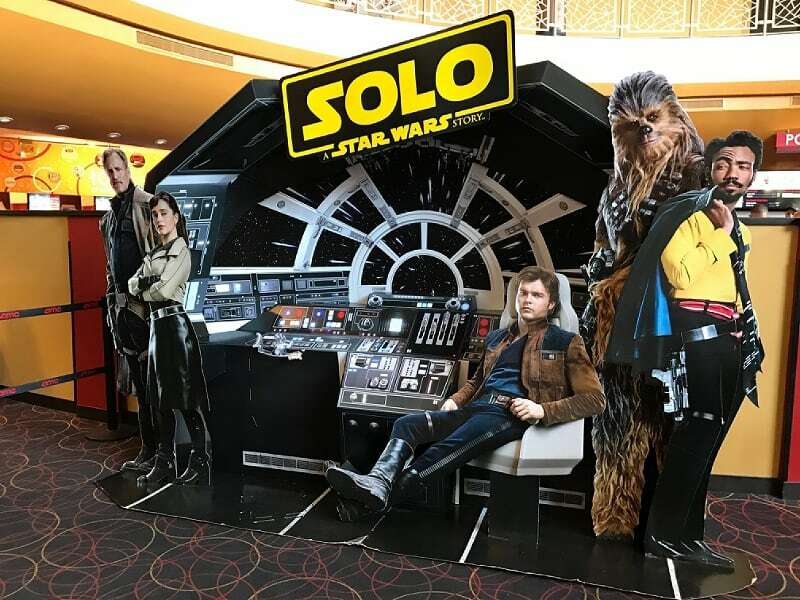 Although the scale was a bit smaller than last December when The Last Jedi was released, there was still an excitement in the air. 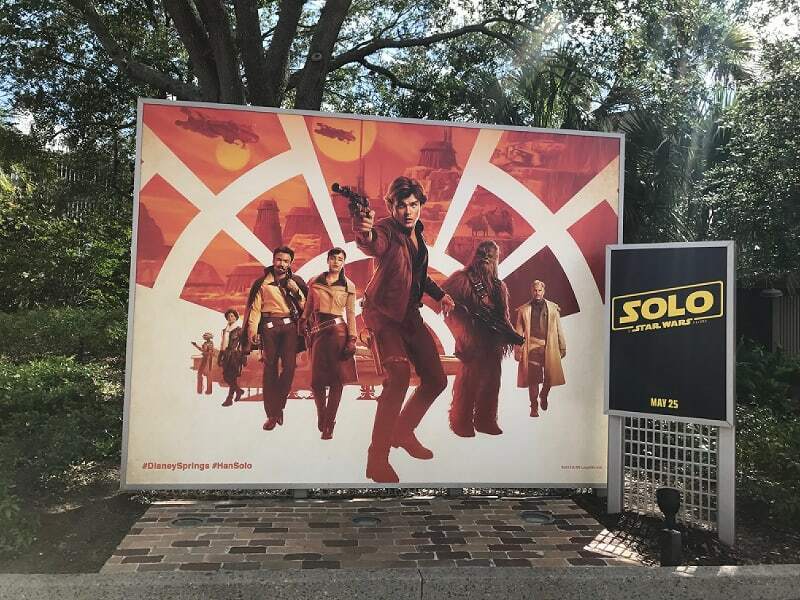 The familiar John Williams score played throughout West Side. 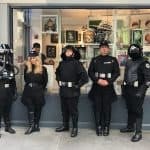 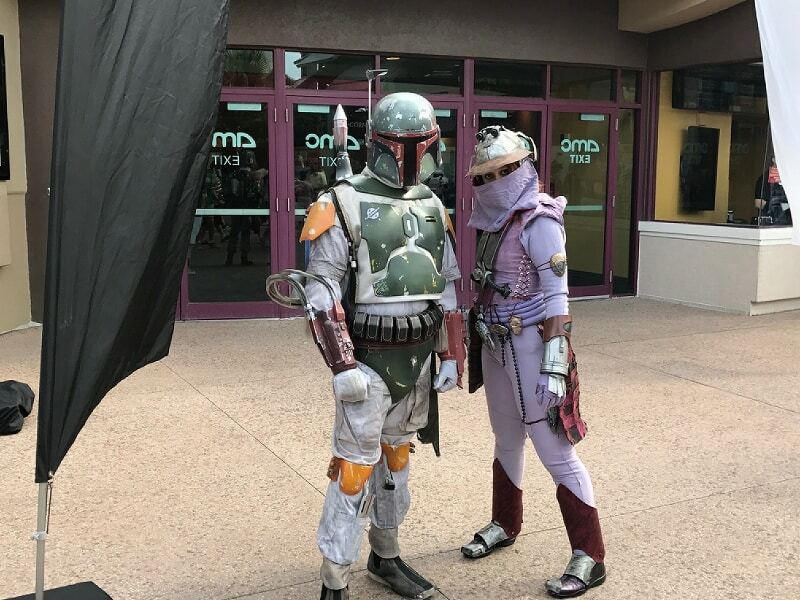 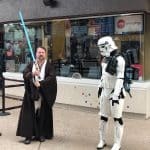 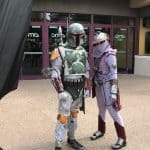 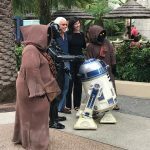 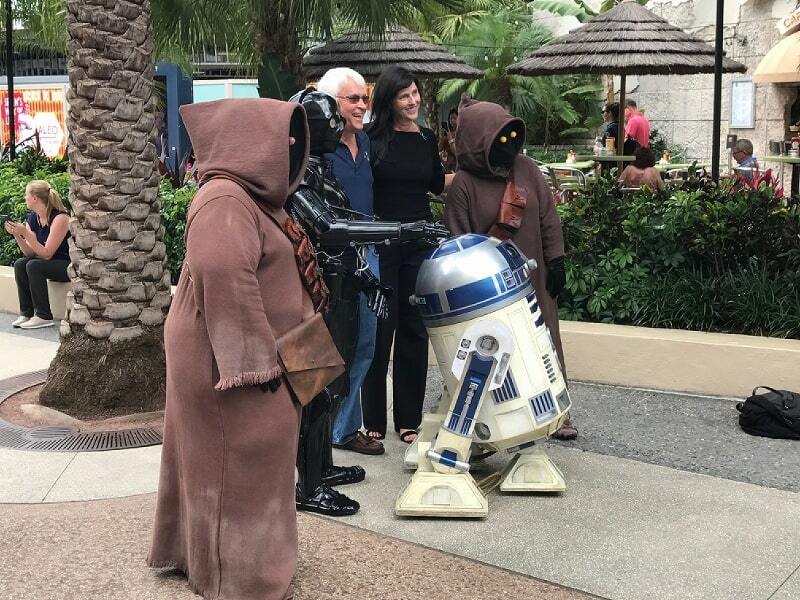 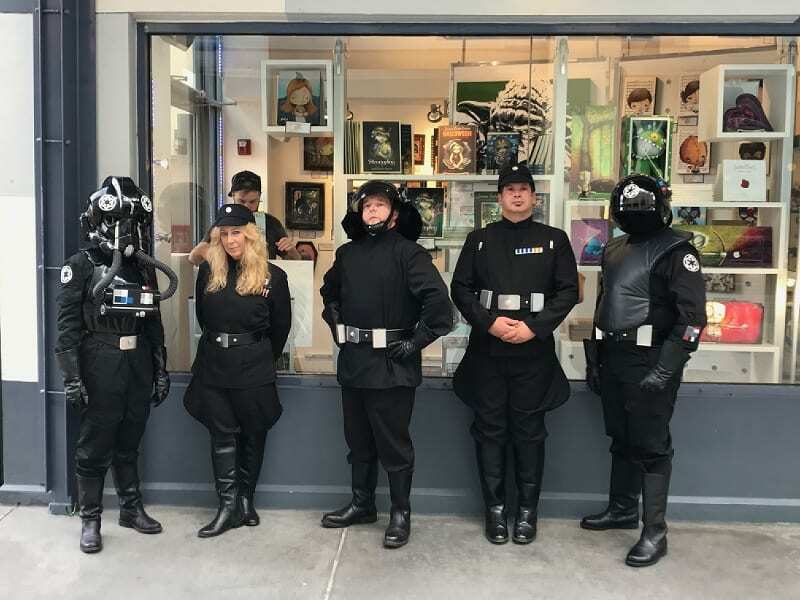 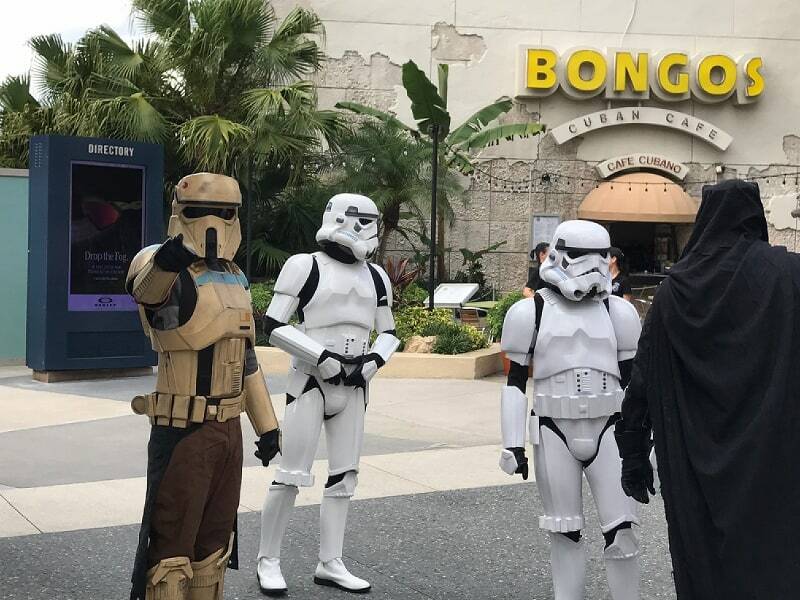 A local group once again was on hand, dressed as Star Wars characters and taking pictures with fans. 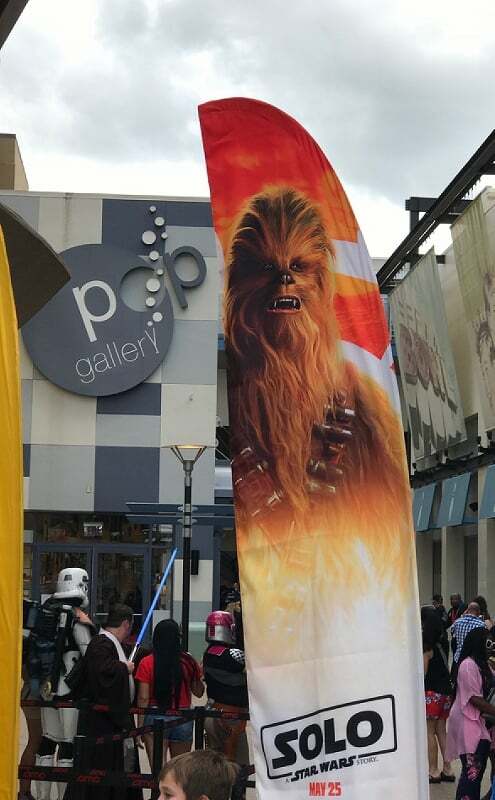 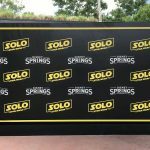 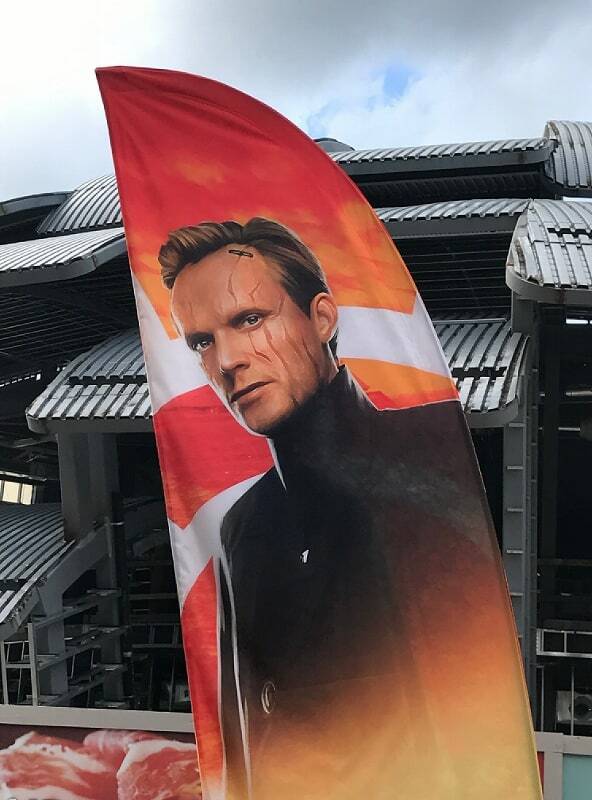 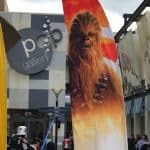 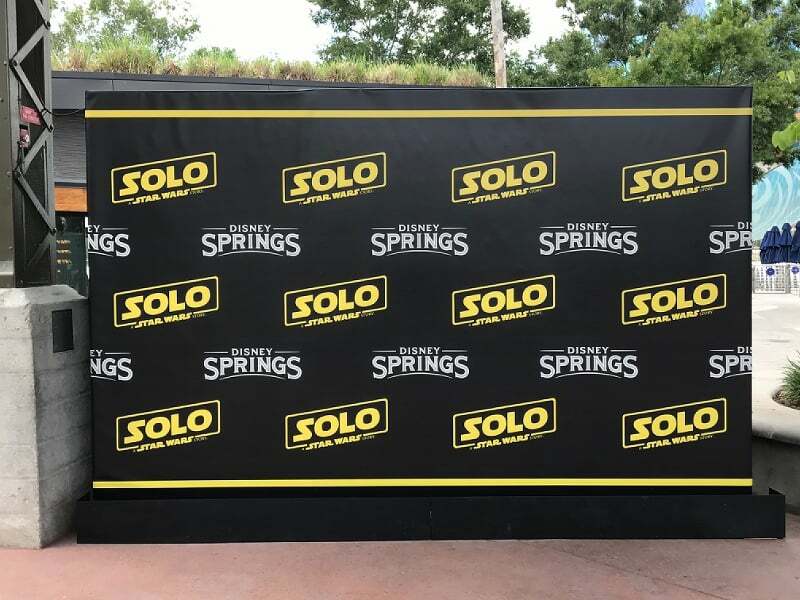 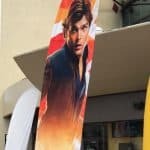 Disney Springs was decorated with banners that depict the characters of the new film, and there were other photo opportunities. 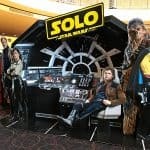 Inside the AMC theater there was another picture opportunity where movie goers could snap a picture “inside” of the Millennium Falcon cockpit, surrounded by cutouts of the movie’s main characters. 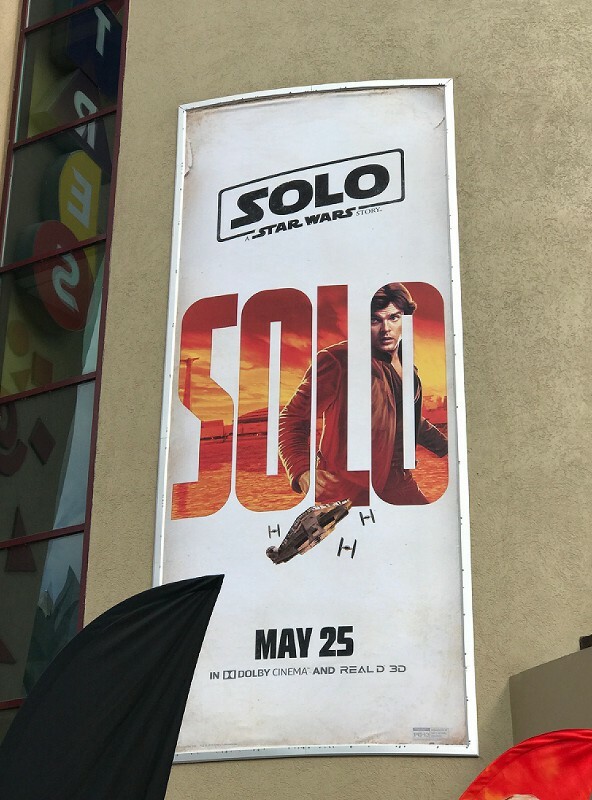 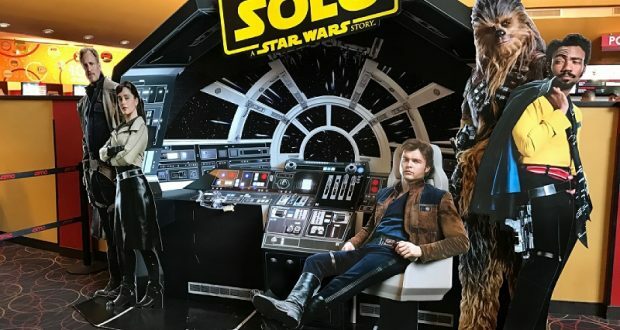 Solo: A Star Wars story tells the back story of the character made famous by Harrison Ford in the originals. 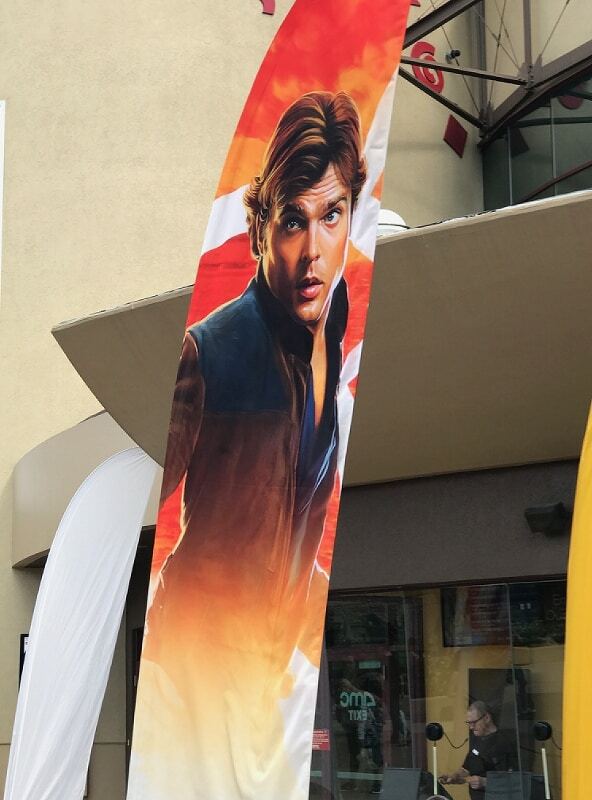 The younger version of Han Solo is played by Alden Ehrenreich. 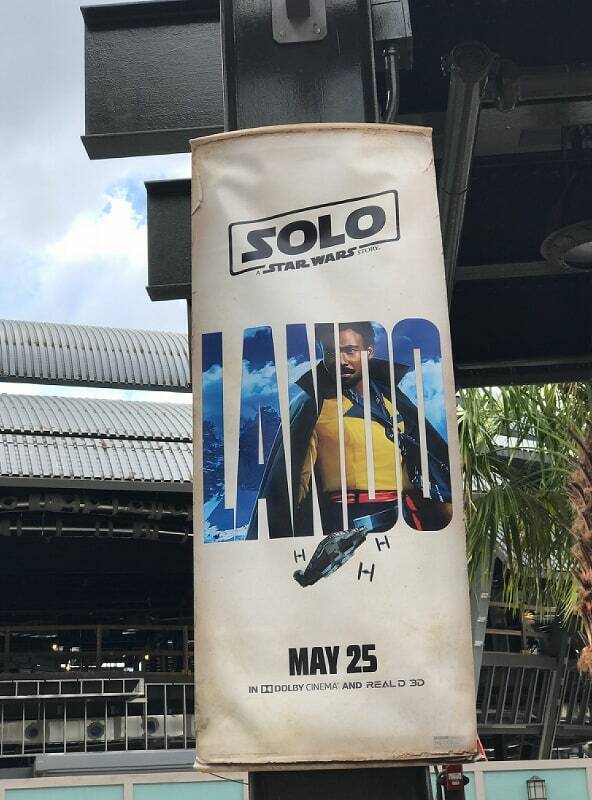 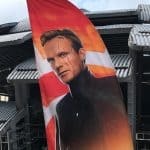 The film also features the characters of Lando Calrissian, portrayed by Donald Glover, and Chewbacca, now played by Joonas Suotamo. 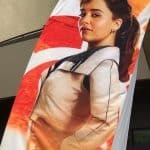 The film also stars Woody Harrelson, Emilia Clarke, and Paul Bettany. 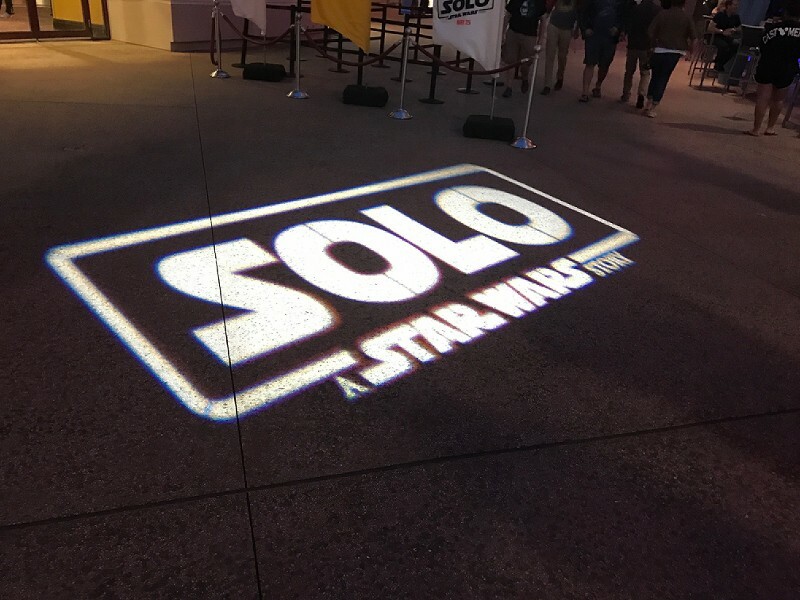 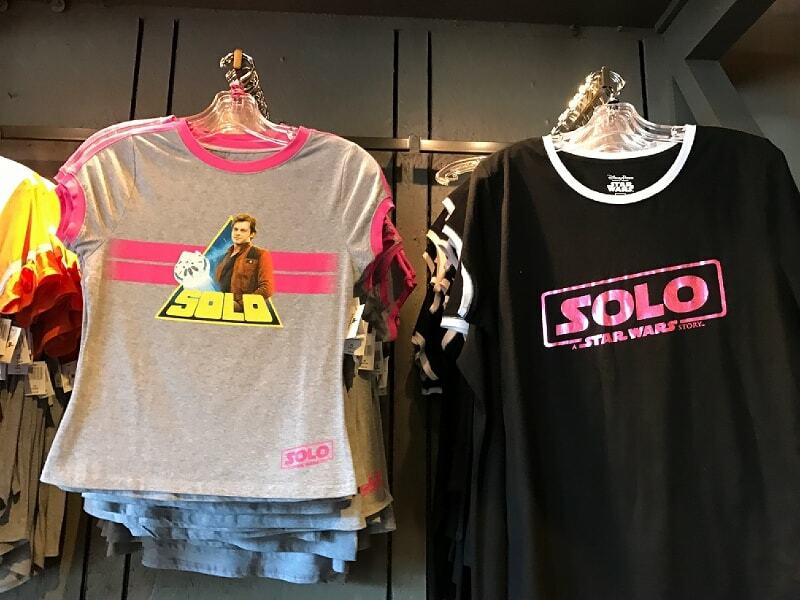 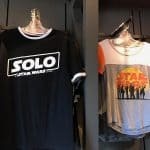 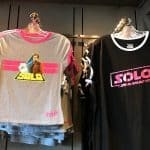 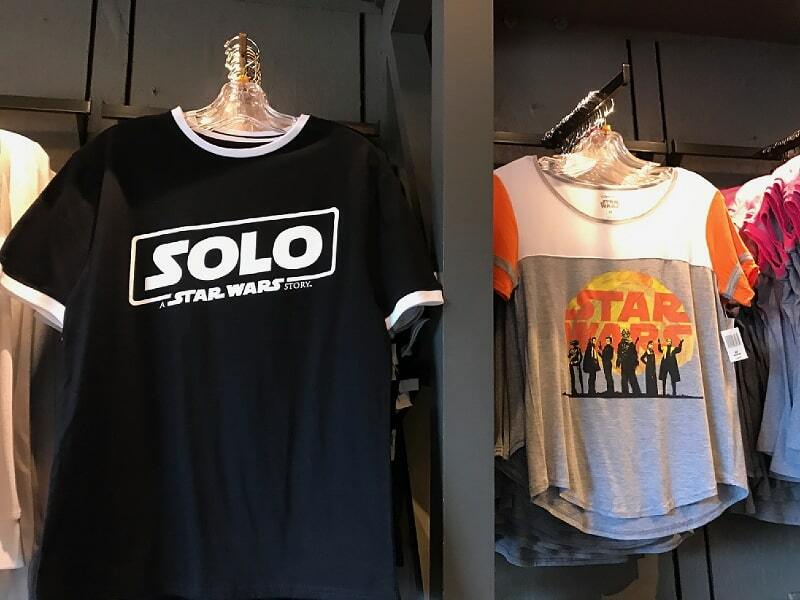 While the premier for Solo: A Star Wars Story may be over, the celebration continues. 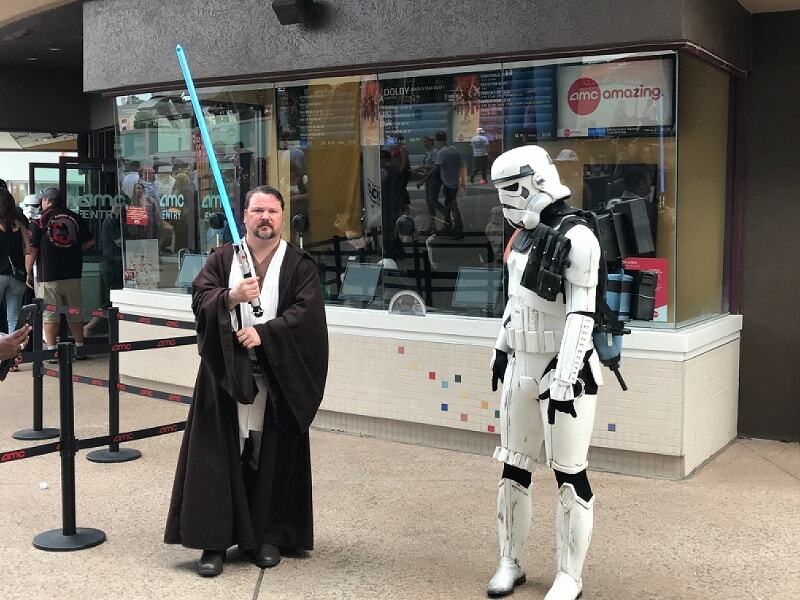 On Sunday, May 27, Star Wars: Galactic nights will take place at Disney’s Hollywood Studios. 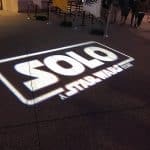 It is a separate ticketed event, and it runs from 7:00pm until midnight. 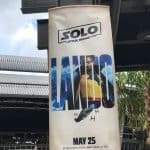 As of right now, tickets are still available.